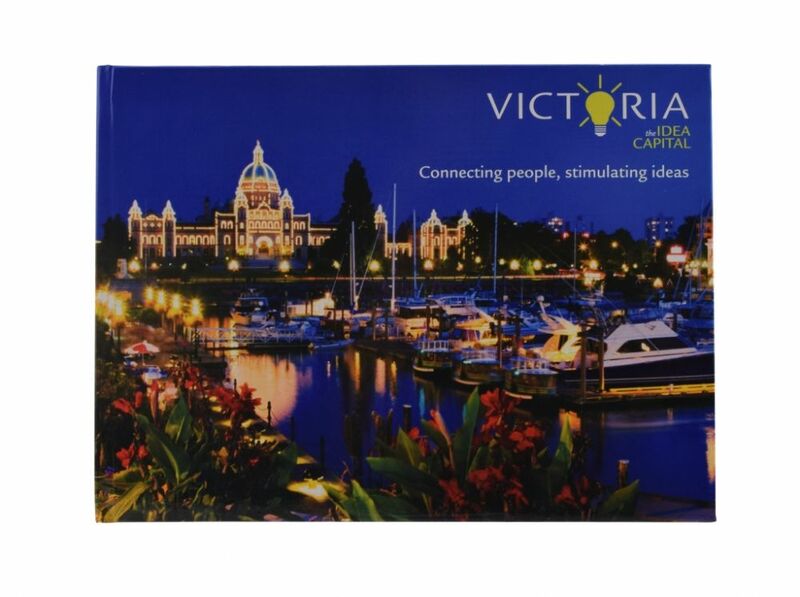 The City of Victoria was looking to promote tourism and attract business travellers by showcasing the sights and sounds of the city with the goal of sharing the Victoria experience through its spectacular natural wonders, modern meeting venues, amazing food, and more importantly, its people. 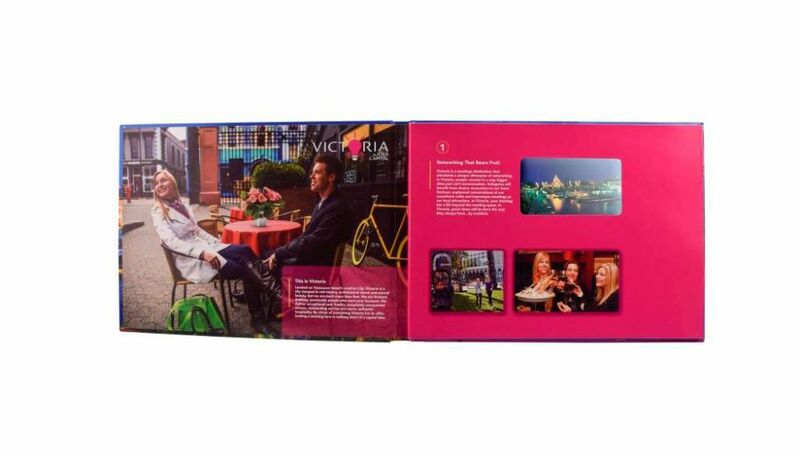 Tourism Victoria collaborated with Americhip to design and produce an engaging video book that highlighted the sights of the city as well at its people and culture. 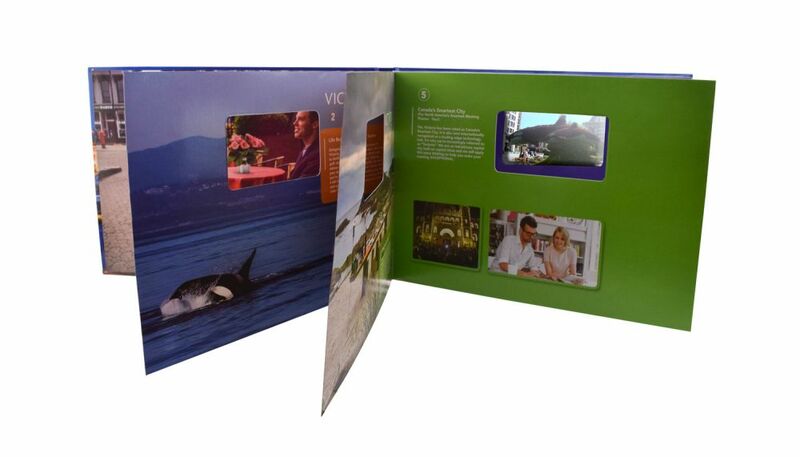 The hardbound video book had cleverly placed window cuts that led to a final page that revealed a 4.3" LCD screen. 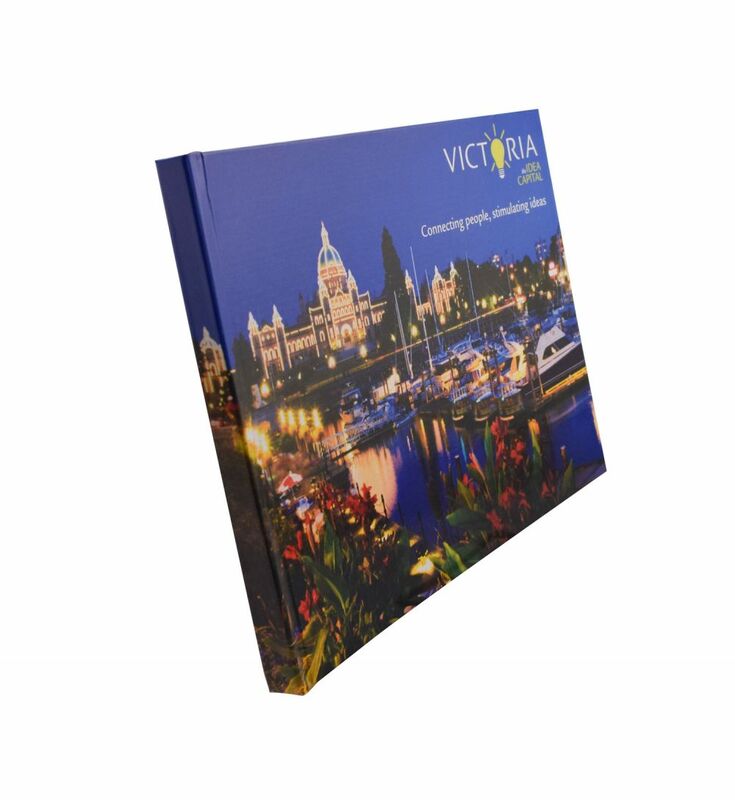 With the push of a button, readers were treated with dazzling video content that included poignant testimonials from residents and from its ever growing number of new and long time visitors. 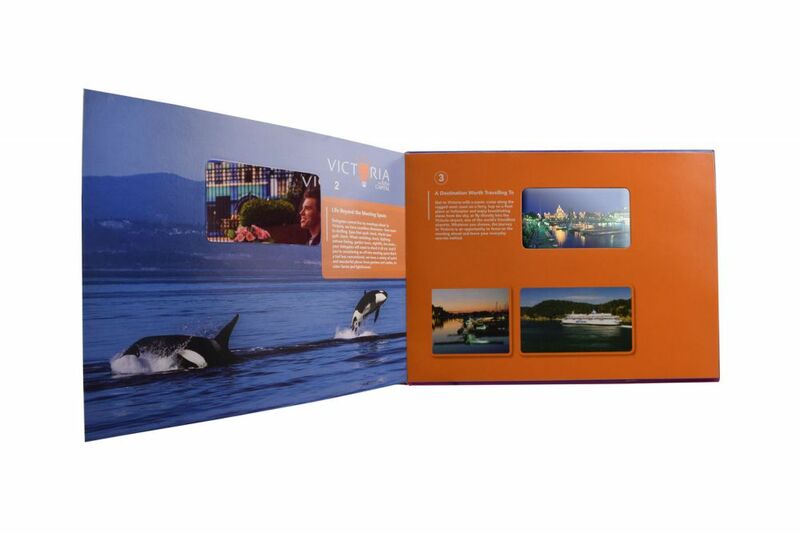 Now with Video in Print, Tourism Victoria was sure to dazzle readers with the Victoria experience and develop tourism for both business and pleasure.